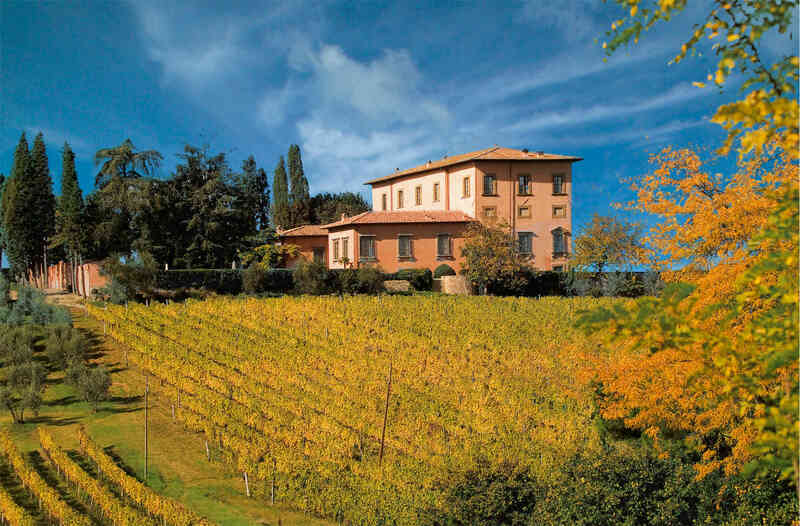 Nestled in the heart of the winemaking region of Chianti Classico, Villa Mangiacane is a magnificent 15th century property built by the Machiavelli family, bearing the unmistakable hand of the Renaissance master, Michelangelo. 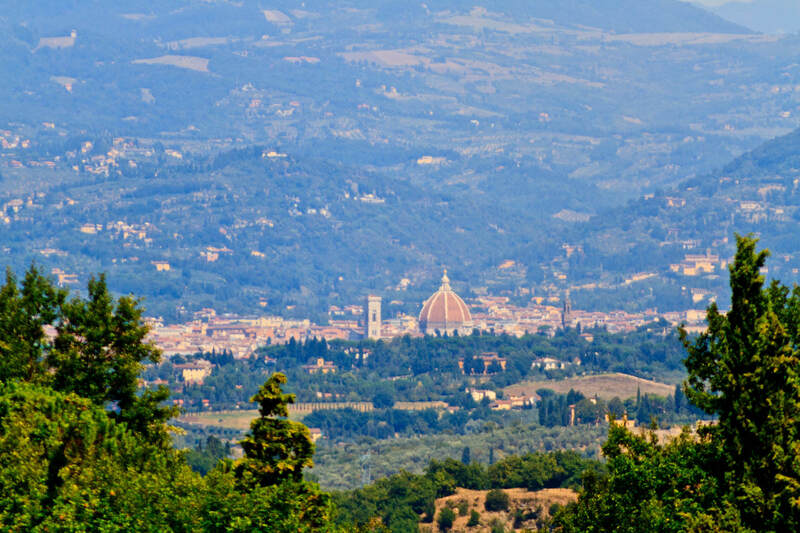 Located just 12km south of Florence, Mangiacane is set within 600 acres of flourishing vineyards and olive groves. Palazzo Machiavelli is an exclusive property for VIP stays. The 10 luxurious suites are divided as follows: 1 Royal Suite, 1 Machiavelli Suite, 1 Two-bedroom Suite, 4 Terrace Suites, 1 Double Room which can be connected to a Terrace Suite and 2 Deluxe Rooms. Luxurious facilities compliment the Palazzo Machiavelli: an outdoor swimming pool, SPA with indoor heated pool, sauna and steam bath, unique sculpture garden and breathtaking views of the Brunelleschi Duomo in Florence from the terrace balcony. Sleeps up to 22 people. Villa Mazzei is the Estate's Country Resort, is a separate building on the same property within a minutes walking distance from Palazzo Machiavelli and is the ideal choice for a true Tuscan getaway. This beautiful resort has 18 individually decorated double rooms and suites equipped with all amenities and comforts, an outdoor infinity pool and the restaurant. Sleeps up to 36 people. 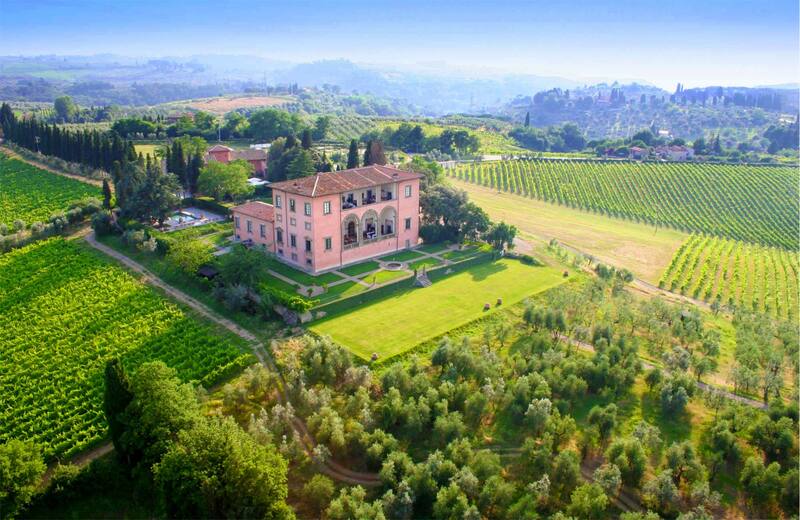 Villa Mangiacane is a perfect wedding venue in the amazing landscape of Tuscany. Hosting a wedding in our ancient Villa lets you fulfill the greatest dream of your life, just as you always wished for it. Our professional staff will assist you in every detail of your wedding, ensuring that it will be a distinguished and superior celebration. We at Villa Mangiacane take great pride in our Art & History as it makes us who we are. From the centuries old frescoes, to our exquisite Shona sculptures from Zimbabwe – we have a plethora of artwork both new and old by talented individuals for our guests to observe throughout their stay with us. It seamlessly ties together the combination of Italian, African and Indian inspiration and ultimately adds to the eclectic style we showcase around the property, with whispers that Michelangelo was involved in the redesigning of the villa. It also pays homage to the respective nationalities of our staff which we consider family.